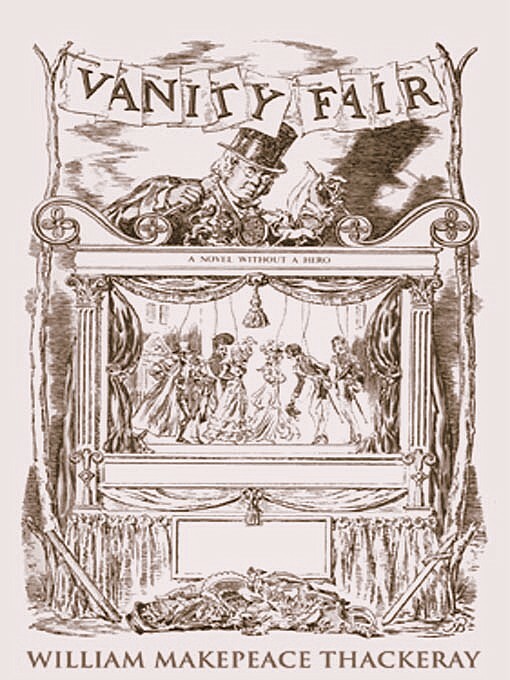 It took me a long time to pick up ‘Vanity Fair’, it took me a long time to read it, and its been a while between finishing reading and starting to write. The manager steps back to become a narrator, but he will step forward again often, to commentate the story that he will have his puppets tell. It is a colourful, wide-ranging, social satire that he set in what was, for him, the recent past; the period before, during and after the Napoleonic Wars. He describes his story as ‘ a novel without a hero’ – and that’s a point that could be debated – but it is indisputable that the story is driven from start to finish by its unforgettable anti-heroine, the bright, ambitious, scheming, social-climbing Becky Sharp. She was orphaned at a young age, she had to depend on what little charity there was in the world, and she learned to survive. She viewed the world with a clear-eyed and utterly ruthless gaze, seeing everyone she meets in terms of what she might gain from them, and playing up – being charming, being humble, being or alluring – whatever was needed to gain what she wanted, to put her foot on the next step of that ladder. She didn’t look back, she only ever looked ahead. She was appalling, but she was also inspiring, and she had such charisma. The only thing that held her back was society. She had influential patrons, she married well, but her low birth would never be forgotten. Becky lived in a world that didn’t value achievement and aspiration, she lived in a world that expected people to know their place, and stay in it. But of course Becky wasn’t going to accept that, and her schemes and manipulations became grander and grander. The other characters, drawn in the main from three families who have links with Becky – the Osbornes, the Sedleys, the Crawleys – are pulled through the story by her. At first it sees that they will always be secondary, but they are very well drawn, they are diverse, they are colourful, they have interesting stories of their own. I just wanted to be surprised occasionally, but sadly I don’t think I ever was. Amelia, whose story is told in parallel with Becky’s, was her opposite and the closest the story has to a heroine. She was kind, she was generous, and she never saw anything bad in anyone. I found her lovely and infuriating in equal measure. And though she was a beloved, favoured child she had a difficult path through life. A great deal of history plays out as events unfold, but it is only a backdrop; this is a human story. It speaks of the effects of the class system, of wealth and poverty, of marriage, of family life …. There are times when the story rolls along beautifully, with drama and incident, with shocks and surprises; but there are also times when it is as dull as ditch-water. I particularly remember long chapters in army camps when I so wished that Jonathan Strange might step into this book to move the Napoleonic war along. But the highs were wonderful, and they made it worth struggling through. Becky’s machinations and Thackeray’s satire worked together brilliantly. The ending – and what happened after that – was perfect. The more I think about the book the more I like it. I can’t quite say that I love it, but I am glad that I read it. « Catching Memories and Seeing Stars: Cat Ornaments…. It is many years since I read this but I remember thinking Becky Sharpe was an amazing creation ! She certainly was – and my mother said the same thing, sixty odd years after studying the book for ‘A’ level English! I’m with you…while I didn’t love this book, I did like it. There were things about Becky that I kind of admired. She’s far from perfect…but she really goes after what she wants. And who can blame her? This is the only Thackeray book I’ve ever read; have you read any other of his books? She’s the product of her history and of the world she lived in, which I liked. Someone you love to meet on the printed page but wouldn’t want to encounter in real life! I haven’t read any of the others, but I have my grandfather’s copy of Pendennis so I’m not ruling it out! I love this book for many reasons but mostly for giving us Becky Sharp. The literary world would be a much sadder place without her (and the many characters she paved the way for over the years)! Well I can’t quite love the book but I do love Becky; not least because I suspect that without her Trollope might not have given us Lizzy Eustace …. This was the first book of Thackeray’s that I read, and I really connected with it – though knowing nothing of it or its author, I was expecting a Victorian story – so the setting was a surprise right from the start. How do you think he compares with Trollope? Lark asks (above) about his other books. The two I’ve read can’t compare to Vanity Fair – I couldn’t even finish one (Pendennis). I find Trollope much more readable, I his characters far better realised,and I find his authorial intrusions more natural, but I’m glad I read this and I certainly wouldn’t want to put anyone off reading it. I’m sorrry Pendennis was a disappointing, because it’s a Cornish name and I have an old family. It is lovely to read a positive review of Vanity Fair. I have added it to my TBR Pile 2015 and when I took the photo of the books on my list I remember thinking ‘oh my goodness, it is so big’. Luckily I have a plane trip to the other side of the world in July so I am going to save it for then. That might be the moment – though I’d have something else on hand, just in case. I don’t know if having something else would mean I’ll avoid it though. What a dilemma! Maybe take something short and entirely different …. ? Yes I’m sure I’ll find something good in a charity shop that I can always read and leave in Australia. Agreed. I’m glad I read it but I don’t know I’d want to read it again when I could be re-reading Collins, Gaskell, Trollope, Eliot and various others …. It is taking me forever to get around to reading……..no doubt I’ll get to it eventually. It took me forever too, but I’m glad that I read it. This is one I need to read sometime, though it’s frustrating to read that the book drags in places. But it obviously had a strong enough effect on you to keep you reading to the end! The story and the characters were interesting enough that I was always going to keep going, but I would have enjoyed the book more if it had been a hundred pages or so shorter. I was thinking of reading this but now I’m not so sure. I guess some of the elements of serialized 19th Century fiction are just not as easy to like nowadays. I’ve read a lot of Balzac and his longer works, which have mostly been serialized, had flaws. I still loved them though. Excellent review which brought back memories of reading it years ago while I was at school. The whole issue of the anti-heroine is an interesting one. Let’s face it flawed characters are more interesting. If a character is too good she becomes dull. Becky Sharp is never dull and lives on. However I don’t think I will re-read as I am currently reading Dickens’ Our Mutual Friend and in rather a similar way am finding it is taking me a long time. Some sections are enthralling and others are just word mountains. I think that when authors published in serial form they had to reach a certain word count each month and you kind of feel this with both these books. I think Becky was the first literary ‘bad girl’ I came across, and I’ve always liked her better than soppy Amelia! I think she’s much more interesting than similar characters, like Lizzie Eustace, Scarlett O’Hara or Lady Audley, because she’s got more self knowledge: she’s under no illusions about herself, she knows exactly who she is and what she’s capable of. She knows what’s right and what’s wrong, and she’s aware of other people’s innate worth, irrespective of their social standing. Yet she has no qualms about trampling over their feelings and disrupting their lives. But in the end she does come good for Amelia, even if the way she does it seems a little harsh. I participated in a Vanity Fair readalong a couple years ago and, like you, I enjoyed the book and characters but would stop short of proclaiming that I loved it. I’m very glad to have read it though, and the read long experience is always a plus! I nearly joined that readalong, but I think life got in the way. Still, I got there in the end and even though it won’t be a favourite I enjoyed most of it and I’m glad I read it. I have a feeling this might not really be my type of book either, which is why I’ve been a bit hesitant to try it. It doesn’t sound as appealing to me as other Victorian novels but I know a lot of people love it so I do want to read it. Maybe next year will be the year! It’s definitely worth reading for Becky and for much of the drama, you just need to be ready for a long haul. Well done for getting through it. I have read it, but my, it does drag in places, doesn’t it! I wouldn’t re-read it, that’s for sure. But Becky is an amazing character; it’s a shame she gets lost in the dragging on. I too liked the book and there are places where I found Thackeray’s satire on the double standards of the society both just and amusing…having said that, I neither liked Becky nor Amelia…I understood them and their aspirations, but I felt one did toooo much and the other toooo little. Maybe the author intended it to be like that, but a heroine, a true heroine,would have been a mix of the two…in that case I would have loved the book, but in that case, Vanity Fair would not be Vanity Fair.